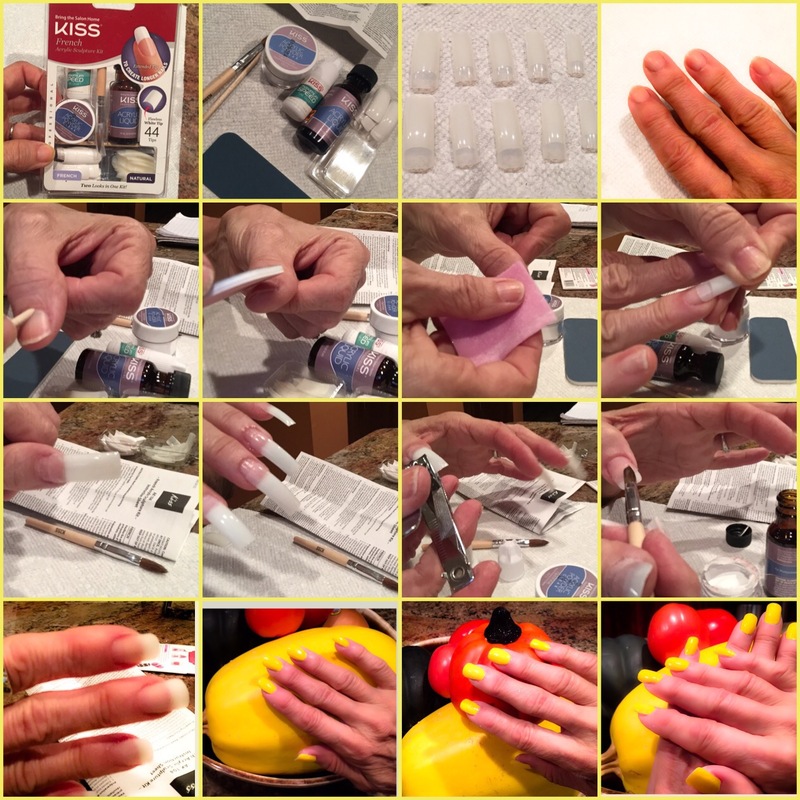 At Home Acrylic Nail Application….what am I thinking? While shopping in the nail polish aisle I noticed on the very bottom shelf a home application Acrylic Sculpture Nail Kit. I kept trying to ignore it, but I did need my nails done and did not have the time to go to the nail salon. I gave in and grabbed the kit and put it in my cart. “Nice little challenge to see if I can in fact put these on without too much of a mess,” I told myself. HA! As it turned out, It was not too bad of an application. Easy enough. The tricky step for me was the acrylic. I was a bit heavy handed with it which then required a lot of filing to get the right shape. I used Sally Hansen nail polish in Lightening. 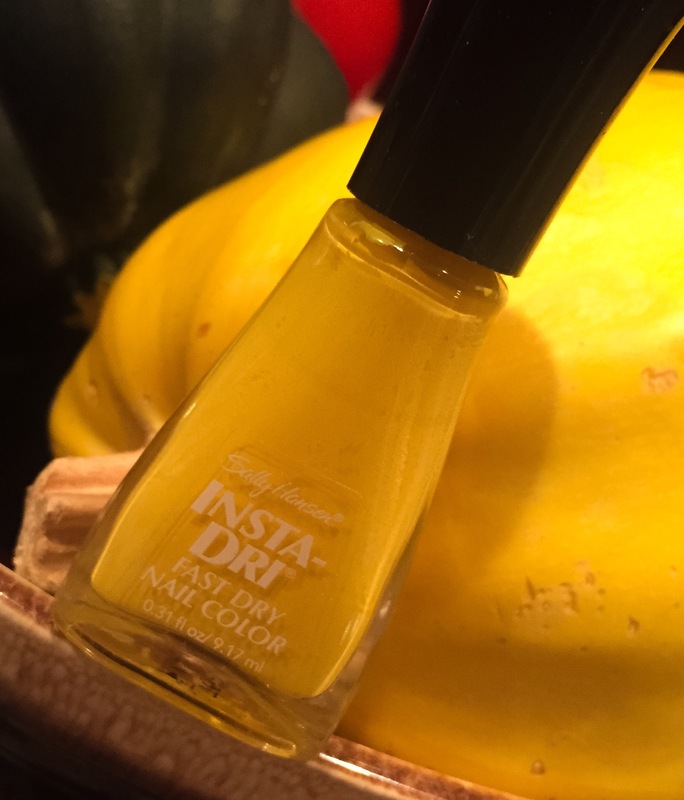 I like to call it Spaghetti Squash Yellow! Overall I am happy with how they turned out. It’s fun to do them yourself once in awhile.